After a long line of propulsion package deliveries for the Peruvian fishing industry - all based on the popular and well-proven MAN L23/30A packages – a new step forward has been taken by COPEINCA in favour of the more powerful L21/31 solutions. 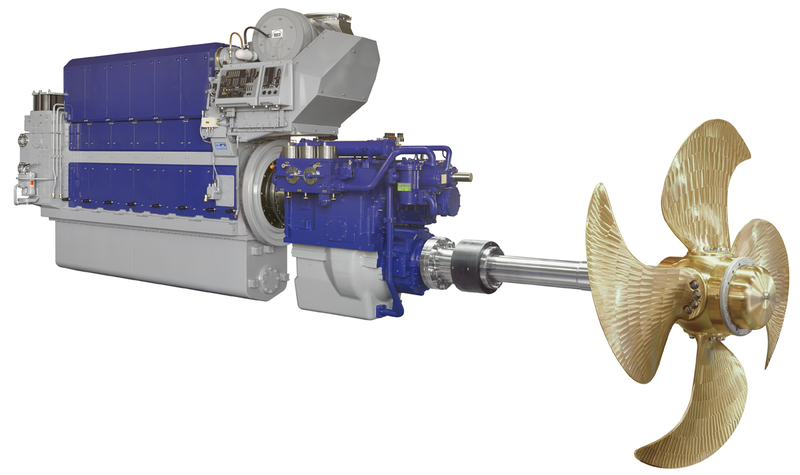 In February, a new propulsion package contract was made between the Peruvian company COPEINCA (Corporacion Pesquera Inca S.A.) and MAN Diesel & Turbo, Frederikshavn. Three newbuildings powered by 6L21/31-VBS propulsion packages are to operate off the coast of Peru – primarily for anchovy fishing for the production of fish meal. When the ships’ annual quota has been utilized (takes between 20 days and 3 months depending on the capacity and vessel efficiency), the vessels convert to mackerel and horse mackerel fishing for the rest of the year. The vessels will be built by the Peruvian shipyard Servicios Industriales de la Marina S.A. (SIMACH), Chimbote. The owner’s target is to optimise costs and replace his ageing fleet. The board of COPEINCA agreed to build three new fishing vessels – a project in which the company will invest US$ 25 million. The deputy chief executive officer of Dyer’s fishery Pablo Trapunsky stated that the idea is to improve deficiencies and replace 30-year old vessels in order to achieve a new and modern fleet. “Fishing fees have shown us that we are more efficient operating large ships, this is why we have planned to replace three ships with a capacity of 250 to 400 tons, for other even larger ships”. For matching the shipyard’s construction schedule, all propulsion packages are to be delivered from Denmark during June 2010. See the charts and the GA drawing in the pdf-file.